Guien held a sit-down discussion with the other students at the meeting. Unity Council started a student speaker series, which gives students the opportunity to talk about issues of diversity and inclusion that they’re passionate about. Check out the Review Online later for more coverage of the series! Tía. A simple Spanish word, a term of endearment for a Spanish-speaking child’s aunt. In the first grade, that simple three-letter word set senior Mia Guien apart from her classmates. At the event, which took place in Frankel Mezzanine and drew a crowd of over 20 students, Guien showcased a film she made in her Memoirs class this past March, which explored her Chicana identity. According to Guien, English teacher Rachel Weissenstein was a driving force behind her decision to share her film with Unity Council. Weissenstein says that she immediately thought to share the film with Unity Council, as it depicted Guien’s journey in understanding identity and culture in the SJS community. “Anytime we can broaden our understanding of the diverse and amazing voices that are here, we are enriched as a community,” Weissenstein said. Guien also hoped her message would reach students who share similar struggles with their identity. “I want people who feel the same way as me to know that they’re not alone, that they’re not the only ones that feel like this,” Guien said. Guien is a co-president of Latinos Unidos, the Upper School’s Latinx affinity group. Her interest in facilitating discourse about racial, ethnic and cultural differences sparked from a Student Diversity Leadership Conference she attended as a junior. “It opened my eyes to how problems about embracing diversity are not just prevalent at our school; they’re prevalent in private schools across America,” Guien said. In her experiences at SJS, Guien has found that the school lacks a safe space to engage in healthy conversation about sensitive topics. According to Unity Council co-chair senior Layo Laniyan, Unity Council aims to do exactly that. 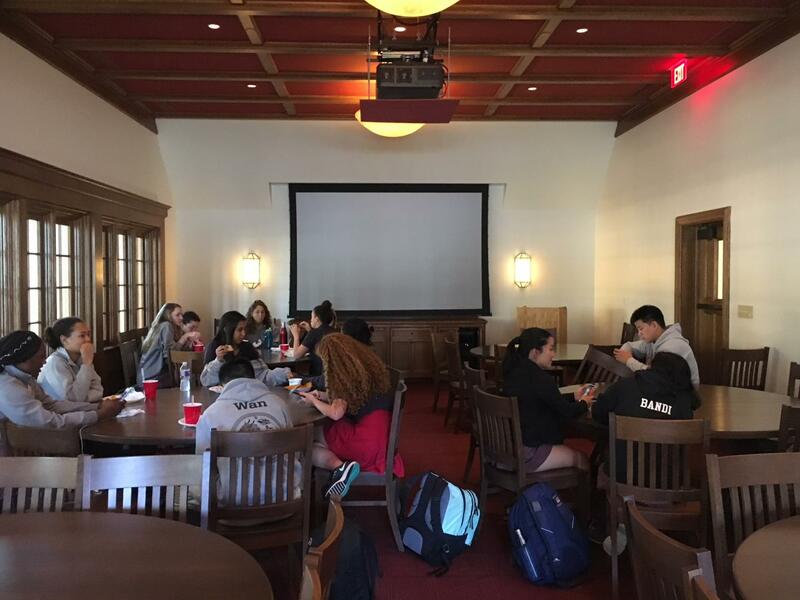 “Unity Council’s role in the SJS community is to ensure that students of all identities feel valued and respected — that means taking the initiative in starting uncomfortable situations and using our platform to educate the larger student body,” Laniyan said. Moving forward, Guien suggests that the curriculum could help enrich all students’ perspectives by including more texts written by people of color. Instead of waiting until senior-year seminars to open up discussion about identity and culture, Guien added, the school should start integrating these concepts as soon as students enter ninth grade.